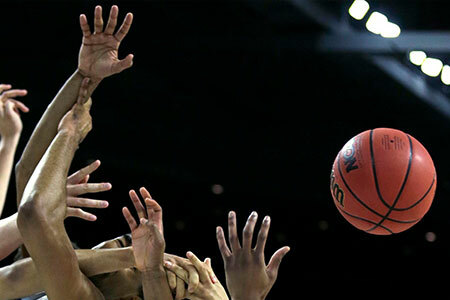 There are few college sporting events that can match the sheer scale and excitement of March Madness and the Final Four. Every Spring, 68 of the nations best and brightest athletes in the game of basketball compete for the title of National Champions. In 2019 the Final Four is headed North. The sport-loving city of Minneapolis will be ready to welcome thousands of basketball fans as they prepare for the culmination of March Madness. Be there to experience the pinnacle game of the College Basketball Season! Custom 2019 Final Four packages available from $3,485 per person (based on double occupancy). Customize your 2019 Final Four experience by contacting one of our sports travel experts at 1-813-875-4155 or submitting a Custom Trip Quote. *Rates are per person in USD based on double occupancy. Single rates available. A 25% deposit will hold your spot. The balance will not be due until two months prior to departure. The terms NCAA ®, NCAA Championships ®, March Madness ® and Final Four ® are registered trademarks of the National Collegiate Athletic Association (NCAA). The use of the terms NCAA, NCAA Championships, March Madness and Final Four herein is for factual description purposes only. Creative Travel Group is in no way associated with or authorized by the National Collegiate Athletic Association (NCAA). The National Collegiate Athletic Association (NCAA) has neither licensed nor endorsed Creative Travel Group to sell goods and services in conjunction with National Collegiate Athletic Association events such as the NCAA Championships or the Final Four.